why choose jeff bowen awnings for your new awning? For over 45 years we have sold caravan and motorhome awnings, porches, sun canopies and accessories at the LOWEST prices with fast delivery. We are one of the oldest awning mail-order companies in the UK. Jeff Bowen Awnings always like to provide excellent customer service as well as offering great discounts and special offers. Our site lists awnings by 'Manufacturer' and by 'Type' i.e. 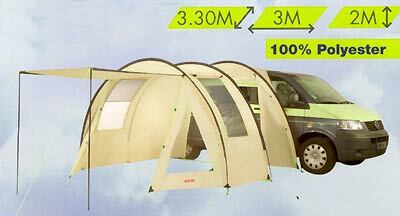 Motorhome awnings, Full awnings, Porch awnings, etc. to allow you to browse through all the different makes or through a particular style. 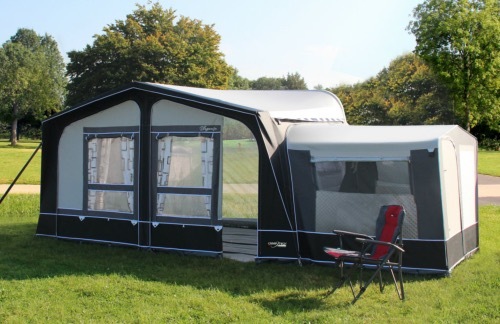 The new Walker Concept is a fantastic new 'Heavy Duty' awning made of a tough PVC "All Weather" material; both sides coated and washable. 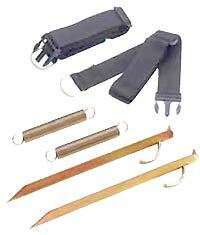 The Walker Concept is ideal for continuous, four seasons use. All the windows in the Walker Concept have window blinds with zips. 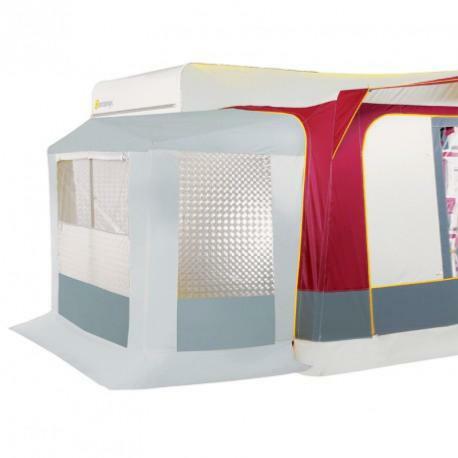 Both the side panels have full size ventilated mesh windows. The roof poles are 28mm steel. The Walker Concept is available with a depth of 240 cm or 280 cm. 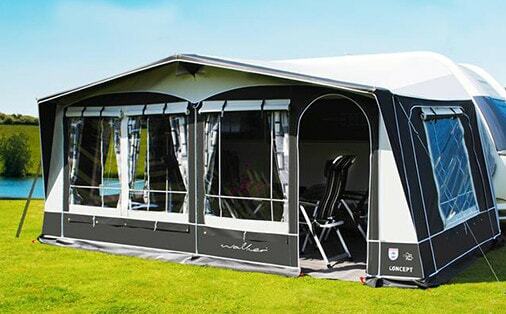 JEFF BOWEN AWNINGS IS A LEADING CARAVAN AWNING DEALER IN THE UNITED KINGDOM. ESTABLISHED IN 1969, WE HAVE DEVELOPED AN EXPERTISE IN CARAVAN AND MOTORHOME AWNINGS LIKE PORCH AWNINGS, INFLATABLE AWNINGS, SUN CANOPIES AND CARAVAN ACCESSORIES. DISCOVER THE BEST CARAVAN AWNINGS BRANDS: WALKER, CAMPTECH, FIAMMA, THULE OMNISTOR & TRIGANO/EUROVENT. 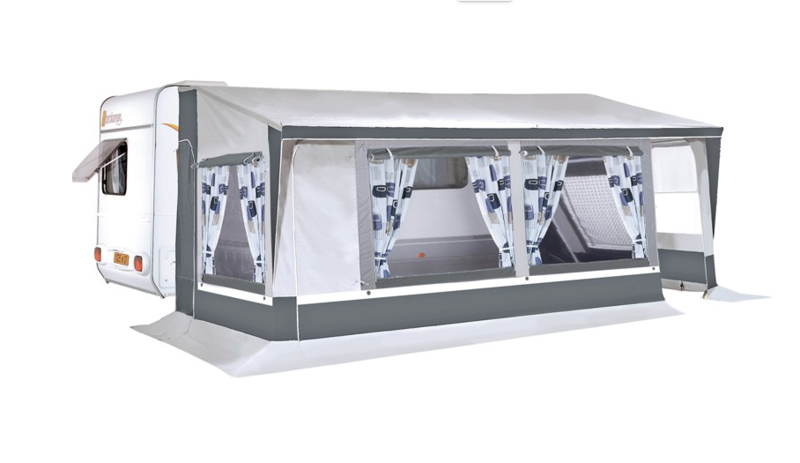 JEFF BOWEN AWNINGS OFFER GREAT CUSTOMER SERVICE AND AFTER SALES CARE WITH AFFORDABLE PRICES. FOR MORE INFORMATION, PLEASE CONTACT US ON 01787 882277.